KalibrateV | A better way to customize your supplements. 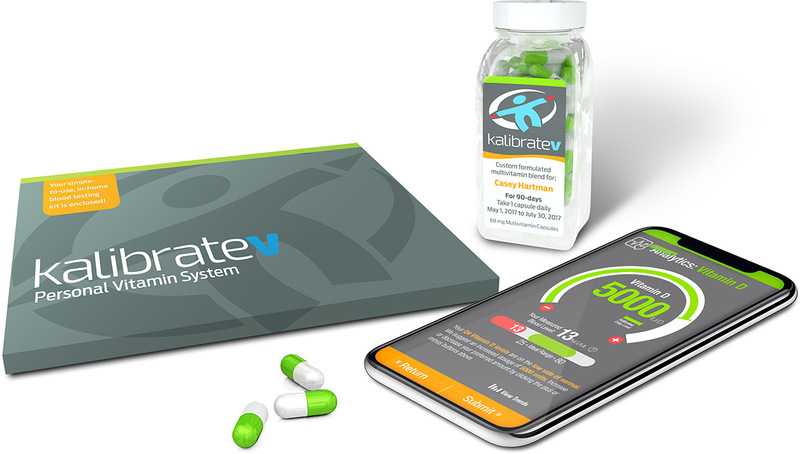 KalibrateV is a game-changing, personal vitamin system that customizes vitamins to each individual body’s needs. A patented, finger-prick blood test accurately calibrates a custom blend of multi-vitamins tailored to the individual’s blood test results, making our product unique in a competitive marketplace. Vitamin supplements account for about $12 billion in annual U.S. sales. Initial market research indicates that nearly 20 percent would be very likely to use the KalibrateV personal vitamin system. Of the 42 percent of respondents who currently do not take vitamins, 16 percent are very likely to use the system, while of those who currently do take vitamins, 22 percent are very likely to use the system. With 20 percent (60 million users) very likely to use it, at $18 per month there is more than $10 billion annual revenue potential for the KalibrateV personal vitamin system in the U.S. market.